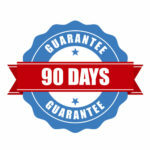 Guarantueed Sold In 90 Days or we buy it - Be aware of the fine print. “Your house guaranteed sold in 90 days or we will buy it”. It sounds very appealing, until you read the small print. Most likely it is not your best option as a seller. But for the agent, it is a great marketing tool to get contacted by a motivated seller. Looking at the bigger picture, that is what this ‘guaranteed sold in 90 days offer’ is; a marketing tool for realtors. It must be said that this ‘sold in 90 days’ incentive can only be offered by the entire brokerage, not by a single agent. The brokerage holds the license of every single realtor. So, technically it is the brokerage who buys your home, not the individual realtor. And the realtor may use this tool in his basket. Sellers must keep in mind that any real estate brokerage offering this deal wants to minimize any risk. To do so, they rely on their small print. Here are a few pointers that you should consider before accepting this incentive. You most likely pay higher commissions. We have seen numbers as high as 5% listing commission. You may have less control over your selling price. Often you have to list your house for at least 120 days. That is much longer than the usual 60 days, meaning you are locked in twice as long. It is also likely that a brokerage takes into consideration the carrying cost, legal fees and commissions when calculating the resale value of your home. 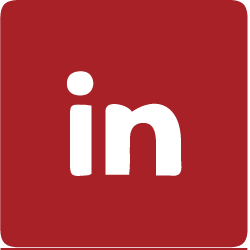 Those cost can be subtracted from your selling price to the brokerage. Your home will probably be appraised by a certified appraiser. That is only one person determining the price of your home; no second opinions. There is likely a maximum list price attached to it. In Calgary, we often see, for example that homes over $450,000 do not qualify for the guaranteed sold incentive. Most likely rural and multi residential do not qualify. This means that the group eligible for this incentive is very small. You might be bound to buy with the same agent. Brokers want to minimize their risk. And who is paying for that? Again, it is clear that a brokerage does not want too much risk. So, as a home seller you may not be entirely in control of your selling price. This likely means you have to lower your price in a faster time frame than you had in mind. Also, the potential risk for the brokerage must be covered, which means further lowering the price. It most often comes down to this: The price you ultimately get for your home from a brokerage, in case it doesn’t sell, is extensively lower than market value. If you are concerned about the time frame your home sells, you are better off pricing it very aggressively from day one. Pricing it at, or even a little below market value, gives a higher chance of selling it at a higher price than what a brokerage will pay you for your home after its 90 days. Is the realtor working in your best interest? Besides the above pointers, there is still the issue of the fiduciary duty where a selling agent works, or should work, in your best interests. Will you be advised to list it for the best price possible, or will you be advised to list at a price where it doesn’t get to close to the broker’s risk of having to buy your home, and be stuck with it? After all, an average house in Calgary is still $400,000 -$500,000. That is a lot of money, even for a brokerage to spend on something they don’t really want. Down the line, every agent wants the phone ringing with motivated sellers! Getting your house sold in 90 days guaranteed sounds great. But in practice, it is nothing but a marketing tool. And if you are thinking of this route, make sure you read the fine print, and understand every single word before putting your signature on this offer. We, Tanja van de Kamp & Ariette van Pelt do not offer this ‘guaranteed sold in 90 days or we buy it’, when selling your home. This article is to bring awareness about the ‘guaranteed sold in 90 days or we buy it’ program, offered by realtors in Calgary, and may not be complete as such. If you have any questions or need legal advice on this subject, seek professional council for the best advice.